We have been debating whether or not we should even bring tools and parts, because we’re firm believers in the fact that if you bring an umbrella, it won’t rain. 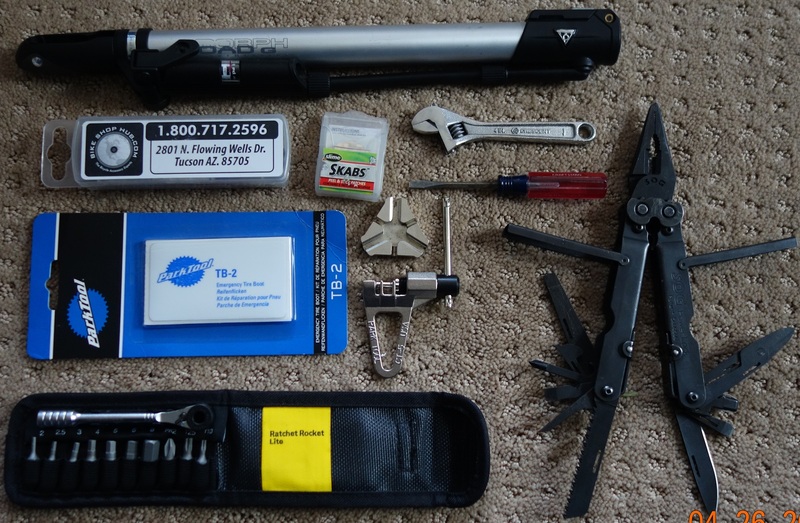 However, we also figure we better play it safe with this one, so we’ve put together a kit that hopefully won’t get much use. 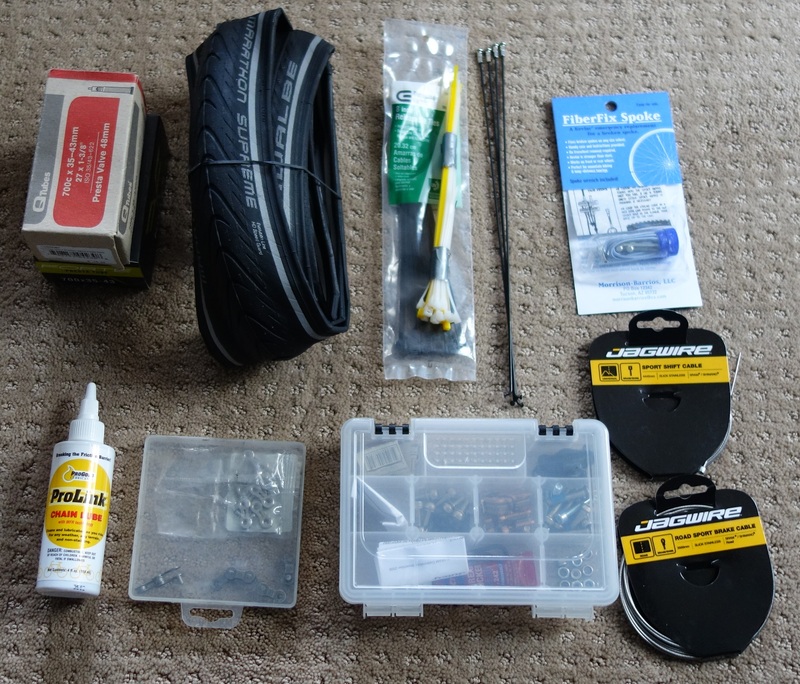 The goal with this kit is to be able to make any repairs on the road (short of major issues) to keep us moving at least until the next town with a bike shop.